How to Delete Your Homeshop18 Account :- There could be a lot of reason for the customer to delete their account from online shopping website Homeshop18. When we study about this topic then we find out that lot of people deleting their account because of email spamming by company new product promotion. This email spamming can be easily removed by clicking unsubscribe button or mark it as a spam. If your reason is other then i will guide you step by step on how to delete your account from Homeshop18 database. Homeshop18 company was owned and opened by Reliance Industries Limited and it is one of the best online shopping website in india. 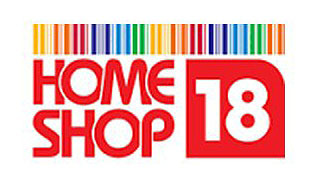 Homeshop18 has partnered with brands like Samsung, LG, Micromax, Panasonic, Godrej, Titan, Philips and Canon. The company has started its TV channel on 9th april 2009. Compose a email and enter this address care@homeshop18.com. Now write a email related to delete account example given here. Enter email subject like request to delete my account and click on send. These are the two process that can be do to delete account. Deletion of account from their database may take some days so wait for their revert back. For more information on how to delete account stay updated to this website.